Our family loves eggs, we get through a tray of 20 a week at least and there's only three of us! 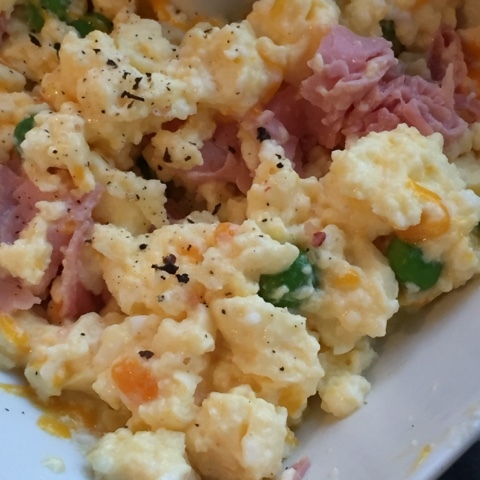 Scrambled, boiled, fried, poached or in omelette, quiches and cakes they are so versatile. Protein packed, full of fabulous healthy nutrients and low in calories (and a free food when following Slimming World Food optimising) these little kitchen delights are a health and slimming must have. Eggs are the true fast food taking just minutes to cook. And who doesn't love a dippy egg on toast? 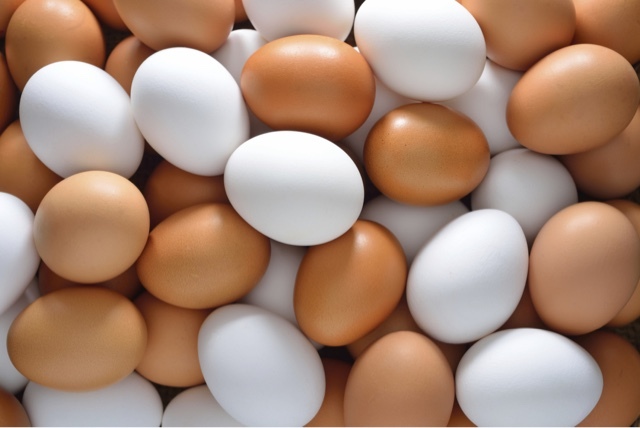 Eggs are great for breakfast, takes no time at all and fills you up until lunch time. 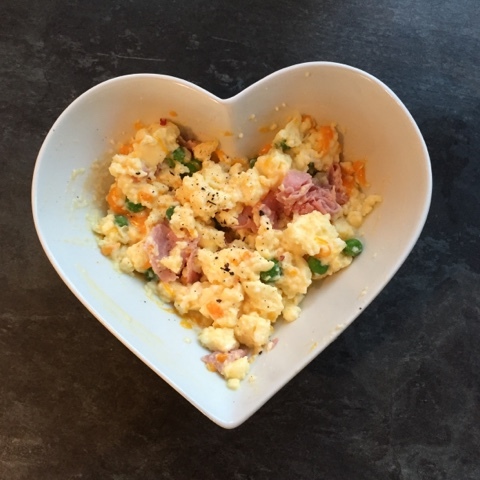 Heres my take on quick one bowl no mess delicious scrambled eggs. Now I'm not trying to teach you something you already know, scrambled eggs is easy, it's one of those dishes we are taught way back in home economics class in school & most of can rustle up some eggs. But cooking them in the pan for me means more washing up so I like to use the microwave. I think microwave scrambled eggs have a bad press because done wrongly you can end up with rubbery dry eggs but done right - delicious! 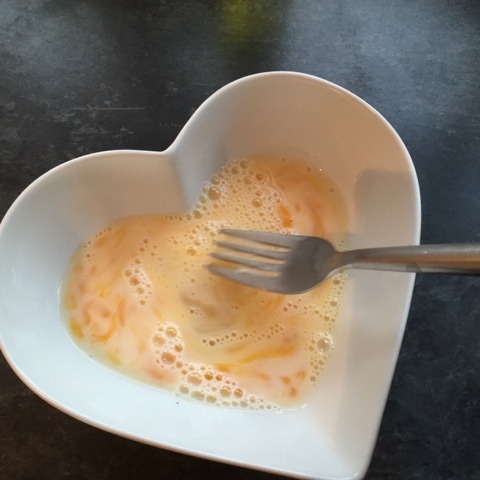 I use two extra large free range eggs whisked with a little milk, aprox 100ml. Pop in microwave and every 20-30 seconds remove and whisk. 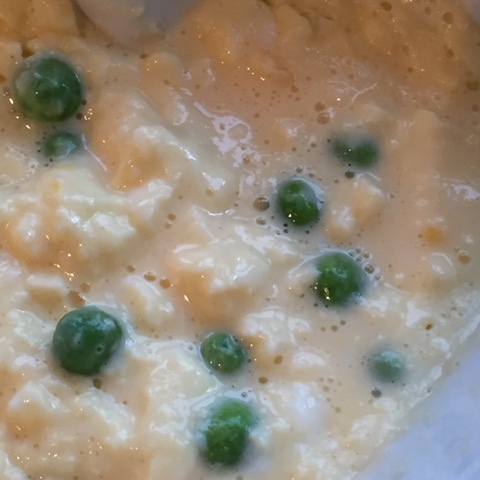 As they are starting to cook I add a handful of frozen peas. Again remove from microwave and whisk with a fork ever 20 seconds. They are cooked when they look like this, mainly scrambled but still some uncooked egg. Egg carries on cooking after removed from heat so for the best softest scrambled eggs always stop cooking just before they look done. Add a little grated cheese, chopped ham, salt & pepper and you are good to go. 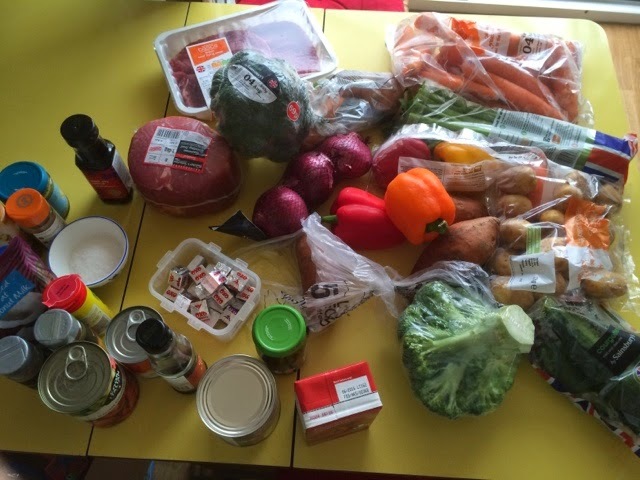 Total prep and cook time 5 minutes. This is fast food!